HCD is a design approach that puts the users first, resulting in useful and usable products and services. Teams who foster HCD create a culture of focusing on the user when creating products, keeping them at the heart of the product development process. Considering their limitations, constraints, and desires, you end with tailor-made solutions that satisfy their needs. It starts with the people; involves co-designing and collaboration; and allows you to build empathy with your users so that you’re more confident in your solutions. The framework requires both divergent and convergent thinking—start wide, then go narrow. Engage with users to uncover as many problems as possible, then narrow your focus on one of these problems. Brainstorm as many solutions as possible, then narrow your focus on one or two that you prototype and test. In the HCD process, failure is a learning experience: An opportunity to discover what works and what doesn’t. It’s also important to embrace ambiguity. You need to be comfortable knowing that you might not understand the problem yet—or its solution—and that’s OK.
Let’s dive into those phases in more depth. This is the phase in which you immerse yourself in your users’ lives to gain a better understanding of who they are. Observe and ask questions to see things from their point of view. Identify your biases and assumptions so you can deviate from them if they don’t align with your users’ reality. Think of this as foundational research. First, you have to identify the right people. Consider various factors including age, ethnicity, technological expertise, and so on. Ensure that your sample is inclusive. Research in this stage could include interviews or focus groups with users, and, when necessary, field experts. You can also conduct contextual inquiries and ethnographic research, diary studies, and photo journals, and use methods like the 5 whys to dig deeper. All of this helps you develop empathy for your users. When you get into their minds, walk in their shoes, and understand their lives, you open yourself up to more creative possibilities. Now that you’ve identified your users and conducted your research, the next step is to synthesize the data and make sense of what you’ve learned in the Define phase. One of the most popular methods for synthesizing findings is affinity mapping. Everybody writes their findings on individual sticky notes and then you group similar notes together to identify themes. Following synthesis, you take your themes and insights and transform them into opportunities for design, brainstorming as many ideas as possible. There’s no judgment during brainstorming. You can, and should, generate as many ideas as you can, and they can be wild and crazy. A common method to encourage creativity is the Crazy 8s: Everyone sketches out 8 ideas in 8 minutes. After brainstorming, you’ll choose the best ideas and create prototypes. Prototypes are low-cost estimations of what your solution will look like, and they can be anything: paper sketches, role playing, physical objects, or digital prototypes. 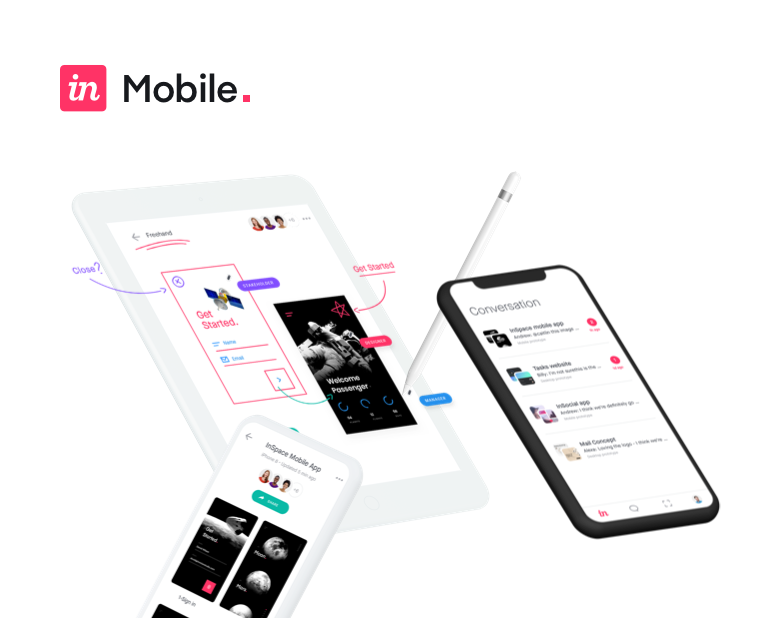 Tools like InVision allow you to quickly and easily create digital wireframes and prototypes. It’s best to experiment with multiple prototypes—and share them with your target audience—to gain feedback and determine the best path forward. Once you implement the feedback and iterate on your prototype, you repeat the process until you have a product that you’re ready to move forward with. This is when you take your product to market and refine your business model. It’s important to note that your product is never really finished. You should consistently be improving, testing, and gathering feedback from users so that you know your product is meeting their evolving needs. Track your pre-defined success metrics to understand if your product is meeting expectations. HCD is not only applicable to the product itself, but how you market and communicate it. This is where your Define research comes in handy: You already know your users’ needs and expectations in their own words. Why is human-centered design important? When you develop deep empathy with the people you’re building for, it allows you to think of solutions that will really improve their lives. The HCD framework will also help your business identify new opportunities to diversify, by either developing new products for existing markets or defining new markets for existing products. When you’re directly connected to your users, you can follow their needs as they change. Finally, a human-centered approach gives users a sense of being understood, which can increase customer loyalty. When they feel like they’re part of the process, the product becomes more meaningful to them, and they’re more invested in using it. A good starting point for applying this framework is IDEO’s Field Guide to Human-Centered Design or Acumen’s introductory course on Human-Centered Design. HCD is a framework for designing products, services, and systems. Rooted in the HCD framework, design thinking is a practical, collaborative, and iterative approach to understanding and solving problems. It functions on the assumption that innovation occurs at the intersection of user needs, available technology, and business requirements. It brings together multidisciplinary teams—including the users—to solve complex problems. Design thinking and HCD complement each other. Both highlight and emphasize a focus on users to identify problems and patterns, and both rely on being iterative, constantly reviewing and improving processes and products based on users’ changing needs and abilities. Using HCD as a design approach puts your users first and helps you create useful and usable products and services. Companies who invest in HCD create a culture of user focus by keeping them at the heart of the product development process.